Hardwood floors can be beautiful and aesthetically appealing features of a home. But forgotten spills, storms, and pets can wreak havoc on these works of natural art. 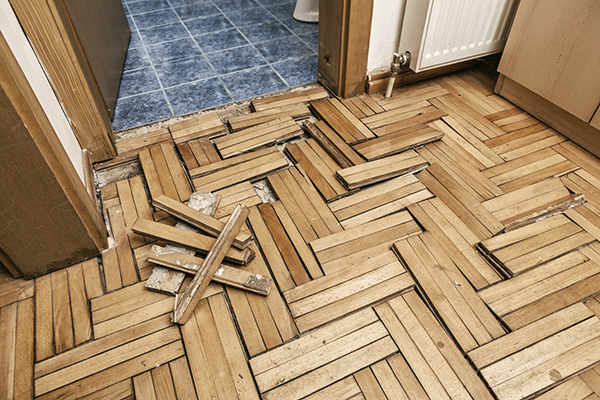 Standing water on hardwood can cause many types of damage, such as warping, mold, and mildew. Hardwood floor restoration and repair can reverse the effects of damage in most cases. As a homeowner, you’ll need to act quickly after identifying the damage. Over time, the effects can become irreversible and ruinous and can ultimately chip into the value of your Bay Area home. After you’ve discovered standing water or water damage, contact a hardwood floor water damage repairs company ASAP. Waiting is not an option, even if you get the impression that the flooding isn’t “that bad.” You may only be seeing the equivalent of the tip of the iceberg. A professional can provide advice and recommendations for next steps. In the meantime, while you’re waiting for help, mop up excess liquid. The next step is to ventilate the house by opening windows and doors and setting fans near the damaged flooring. Dehumidifiers do a great job of drawing excessive humidity out of the environment and can significantly decrease drying times. Hardwood floors installation crews and repair professionals use specialized equipment to gauge the overall damage in flooring. Leaving damaged floors in place can lead to further destruction in the form of mildew and mold. In turn, this can make the floor more vulnerable to additional deterioration, fueling a vicious cycle. Seal hardwood floors and wipe up spills immediately to protect flooring from long-term water damage. To decrease the chance of dangerous internal flooding in the future, leave faucets dripping in extremely cold weather (this prevents water from freezing, then expanding, which can cause a burst) and turn off water when leaving for vacation. 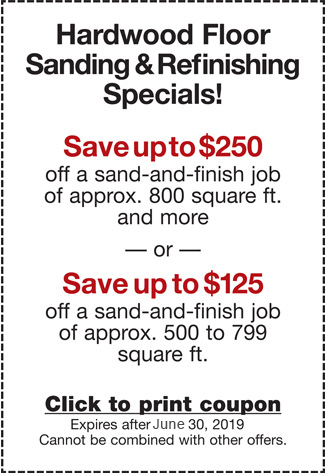 Hardwood Floor Restoration and Repair Experts to the Rescue! Call our experienced professionals at (408) 773-8624 today if you have any urgent hardwood floor repair needs for your Bay Area home or apartment. ← Why Is Hardwood the Best Option for New Floors?